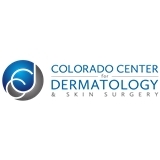 Colorado Center for Dermatology & Skin Surgery (Centennial) - Book Appointment Online! At Colorado Center of Dermatology and Skin Surgery, we exist to serve our patients through personalized and exceptional care. Your concerns and questions will be addressed by Dr. Matt Mahlberg and his caring and dedicated team. As a leader in dermatology, and one who teaches other dermatologists, Dr. Mahlberg strives to make your visit easy, comfortable, and most of all informative. We look forward to serving you. First time meeting Dr. Maura. Exactly what I want and expect from a Dr. Will certainly be back.